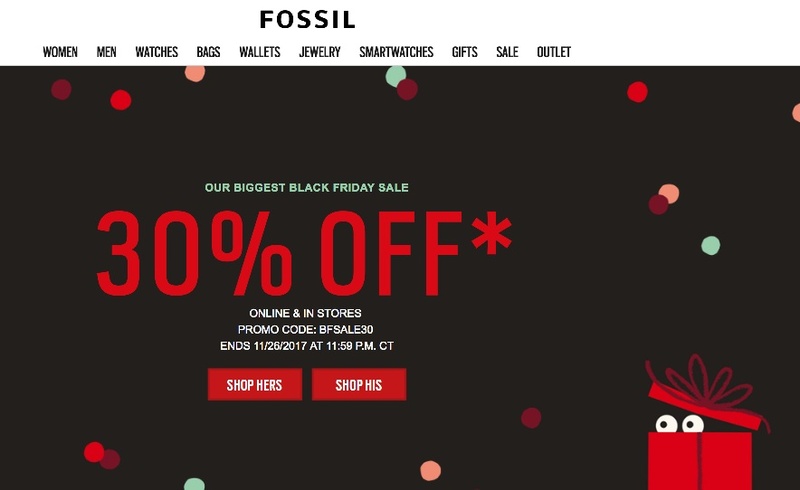 Are you ready for the Fossil Black Friday 2019 ad? We will bring you info about the biggest and best deals and discounts here when the savings are announced online or in an advertisement for Black Friday 2019. We are committed to helping you find the best shopping deals of the year from Amazon Prime Day to Thanksgiving Weekend. So get ready to save in 2019, 2020 and beyond! If you are looking for a watch, Fossil is a top choice. They have a large selection of smartwatches, leather watches, stainless steel watches, chronographs and other items including bags, wallets, and jewelry.